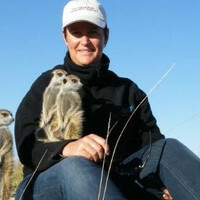 Christine is our Destination Expert in Namibia. "Our communication was through Elsie, and she was great. We really appreciated the detail and communi...". "excellent contact and responsiveness as well as pre-trip meeting to discuss our itinerary". "Excellent, helped a lot to make my trip comfortable!". This 7-day Namibia Safari is designed to offer a quick “snapshot” of Namibia’s world renowned Etosha National Park, the coastal area of Swakopmund and the Namib Naukluft Park. Drive on your own game drive in Etosha National Park, before heading to quirky Swakopmund. Top it off with the world’s highest sand dunes and surreal landscape at Sossuvlei and Sesriem! Upon your early arrival at the international airport, collect your vehicle and depart for the Etosha National Park right away. Located just south of the boundary of the Etosha National Park in northwestern Namibia, Etosha South makes up the southern region of this wild paradise. The Ongava Private Game Reserve shares the southern boundary with Etosha National Park and it offers an array of luxury lodges overlooking picturesque landscapes dotted with abundant wildlife. The national park can be accessed via the southern entrance at Andersson’s Gate. Visitors can catch a glimpse of a variety of wildlife including: lions, giraffes, elephants, white and black rhinos, and a multitude of plains game. Popular activities include game drives, tracking rhinos on foot, guided nature walks, or watching the sunset over this magnificent landscape. Spend the whole day game viewing in the park in your own vehicle. A long time ago, the Etosha Pan was the bed of a vast lake; today, what remains is a glittering, silvery-green salt pan that stretches across roughly 5,000 square kilometers. Etosha is protected by the Etosha Pan National Park surrounded by savannah plains and woodlands supporting large herds of elephants. When dry, the pan sustains little life except for the algae that give it its distinctive color, and migratory birds that use it as a pit stop, but with heavy rain it becomes a shallow lake where flamingos breed, pelicans wade and feed, and a variety of mammal species come to quench their thirst, including leopards, lions, white rhinos, hunting dogs, and antelope. Today, depart from Etosha to the coastal town of Swakopmund. Set along Namibia's spectacularly scenic coast, the seaside town of Swakopmund is known for its wide-open avenues, colonial architecture, and its surrounding otherworldly desert terrain. Founded in 1892 as the main harbor for German South West Africa, Swakopmund is often described as being more German than Germany. Now a seaside resort town, Swakopmund is the capital of the Skeleton Coast tourism area and it has plenty to keep visitors happy. The quirky mix of German and Namibian influences, adventure options, laid-back atmosphere, and cool sea breeze make it a very popular Namibian destination. Visitors can look forward to a number of exciting activities including quad biking, horse riding, paragliding, fishing, sightseeing, and fascinating desert tours. Swakopmund and Walvis Bay have a number of activities that you can take part in. Alternatively, you may enjoy some leisure time. The variety of tours include catamaran and kayak tours, desert tours and quad biking, or sand boarding. In the morning, depart for the Namib Desert. The clear blue skies contrast with the giant red dunes to make this one of the most scenic natural wonders of Africa and a photographer's heaven. This awe-inspiring destination is possibly Namibia's premier attraction, with its unique dunes. These iconic dunes come alive in the morning and evening light and draw photography enthusiasts from around the globe. Sossusvlei is home to a variety of desert wildlife including oryx, springbok, ostrich and several types of reptiles. Visitors can climb 'Big Daddy', one of Sossusvlei’s tallest dunes and explore Deadvlei, a white, salt claypan dotted with ancient trees; or for the more extravagant, scenic flights and hot air ballooning are on offer. We suggest an early start today so that you can experience the light over the dunes as the sun comes up. 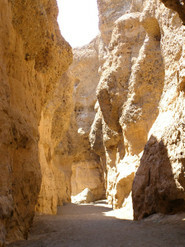 You can spend the full day exploring the dunes at Sesriem. Today marks the end of your visit to Namibia. Depart from the Namib desert back to Windhoek. Drop off your vehicle at the International Airport in time to catch your flight home. Alternatively, you could spend the night before your flight in Windhoek.